Canton may be best known for its First Monday Trade Days, but there’s much more to this scenic East Texas town than its premier outdoor market. Play a round of golf at one of Canton’s breathtaking golf courses, enjoy some thrills with your spills at its water park, and snag a trophy largemouth bass that will make your fishing buddies green with envy. These are just a few of the many things to do in Canton that give you ample reason to visit. Add in winding farm-to-market roads and state highways that meander through acres of gorgeous countryside and you have an idyllic place to get away from the rush of the big city. Read on to discover what to see and do in Canton. Delicate China, colorful flowers, antique furniture, old-fashioned road signs, and stamped license plates; what do all of these things have in common? 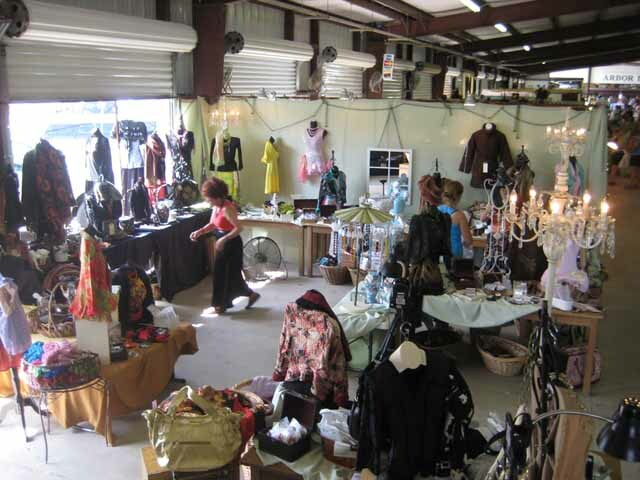 They can all be found at Canton’s First Monday Trade Days, a year-round event that attracts thousands of folks to this East Texas town. Step inside the sprawling outdoor market and you’ll encounter a staggering array of remarkable art, audacious oddities, and fashionable apparel. Browse for a few hours and you’ll probably work up an appetite, and there’s no better way to satisfy your craving than with a warm and moist funnel cake or a few scoops of homemade ice cream. With a belly full of tasty treats, you’ll have more than enough energy to continue your one-of-a-kind shopping adventure in Canton. First Monday Trade Days are held the Thursday, Friday, Saturday, and Sunday before the first Monday of every month. See the event’s website for a full schedule. 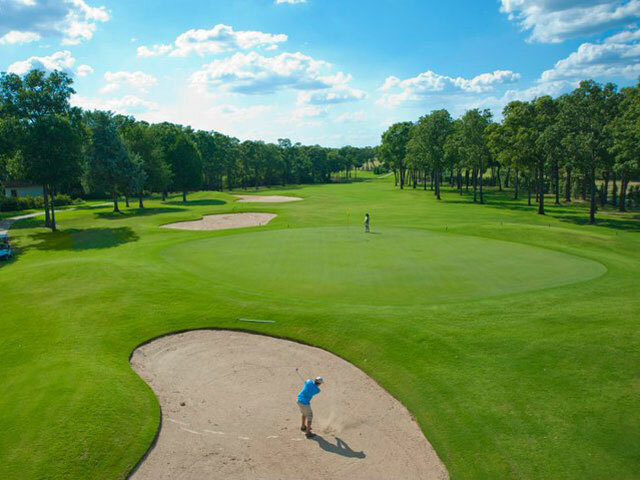 The Piney Woods of East Texas are known across the Lone Star State for their captivating beauty, not only providing plenty of stunning views and a picturesque backdrop for a round of golf. A great way to experience this for yourself is by playing the two golf courses in Canton that are recognized as being among the best in the region. Twin Lakes Golf Course incorporates thickets of towering trees, its two beautiful lakes, and a challenging 18-hole layout that you’ll enjoy regardless of whether you’re a new player or a seasoned pro. Meanwhile, Van Zandt Country Club tees up all the high-end amenities you’d expect at a big-city golf club, including a driving range, pro shop, restaurant, and lounge. Lest we forget the course, you’ll take on 18 holes with water hazards and sand traps that will inspire you to bring your “A” game. Gorgeous views and challenging layouts give you plenty of reason to bring your golf clubs to Canton. Yet the best part just might be that you can book a tee time in advance at both courses by going to their respective websites. Pack your fishing rod and tackle box and drive just a few minutes southeast of downtown Canton to reach Mill Creek Reservoir, one of the best-kept secrets for bass fishing in Texas. The 237-acre lake and year-round sport fishing destination has produced trophy largemouth bass, and there is an abundant supply of crappie you can snag as well. Visit in the spring and you can catch both bass and crappie in shallower water, but you’ll have to move to deeper water as the weather warms. There’s even more largemouth bass and crappie fishing to be done in Canton’s Old City Lake. Find a spot on the fishing pier in Old City Lake Park and cast a line towards a sunny spot on the water for the best chance of catching something you’ll be proud of. Before visiting either lake, make sure to purchase a fishing permit available at these locations. If you find yourself in Texas during the state’s famously hot summers, you’ll probably start looking for somewhere to cool off. 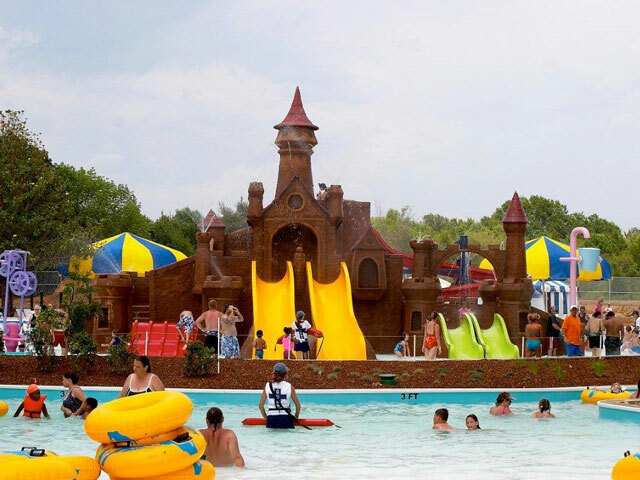 One of the best places in Canton to escape the heat is Splash Kingdom Family Waterpark. Here you’ll find a lazy river and a wave pool with refreshingly cool water, as well as a variety of rides that will get your heart pounding. Fast-paced thrills can be had on White Lightning (an enclosed-tube water slide with steep drops and tight turns), Blue Thunder, and Paradise Island. If you have your youngsters in tow, take them over to the Kid’s Castle where they can play on the 11 slides and among the numerous sprayers and with the splash toys. Regardless of whether you’re young or just young at heart, you’ll find something that will make you smile at this waterpark in Canton. Every town in Texas, large and small, has a history all its own. Canton is certainly no exception. The town was first laid out in 1850, a time in which pioneers were pushing deeper into the wilderness of West Texas. In the years following, Canton’s story would include railroad disputes; the discovery of oil, iron ore, and anthracite coal; and the temporary stay of notorious bank robbers Bonnie and Clyde. 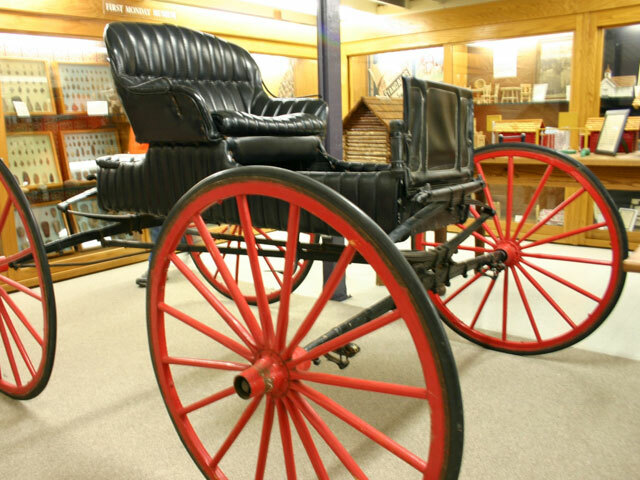 There are numerous museums and historical sites you can go to experience Canton’s history. Visit the Hillcrest Cemetery to see headstones that date all the way back to the 1860’s. Then stop by the Blackwell House Museum, the oldest home in Canton, to see what 19th-century life was like in East Texas. Finish off your tour of history by checking out one of the largest collections of bells in Texas, as well as exhibits of Native American artifacts and other items, at the Canton Plaza Museum.